Love of animals or hatred of man? 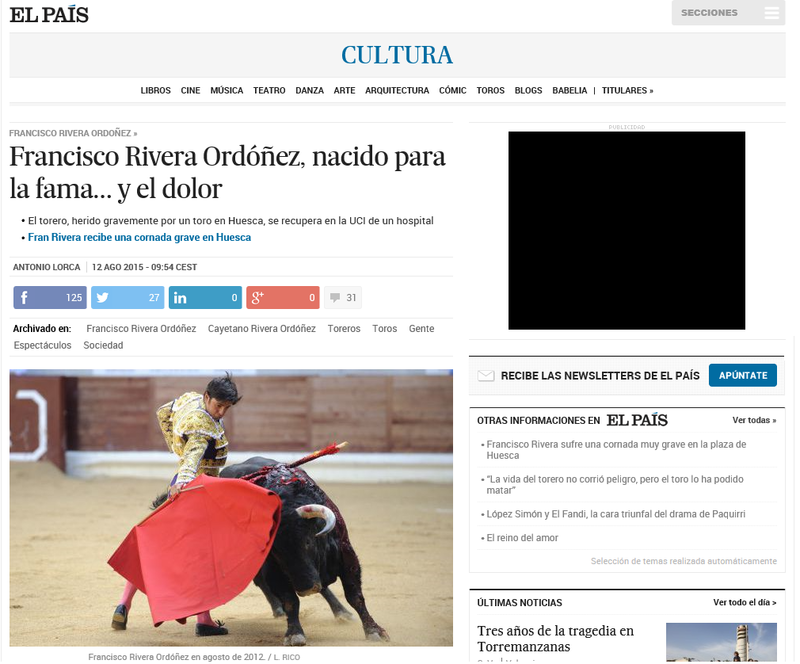 This is the headline of the article by Antonio Lorca, bullfighting critic, in the culture section of El País, Spain’s left of centre national newspaper. 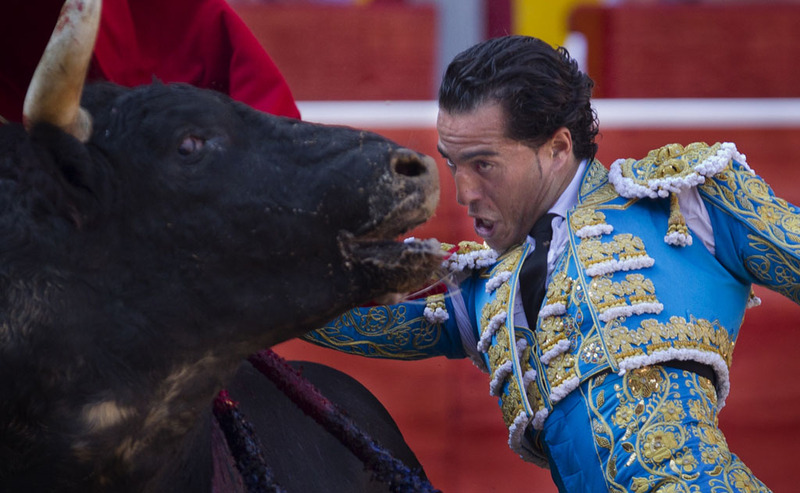 Francisco is, along with his brother the matador Cayetano, heir to the greatest dynasty in the history of bullfighting. 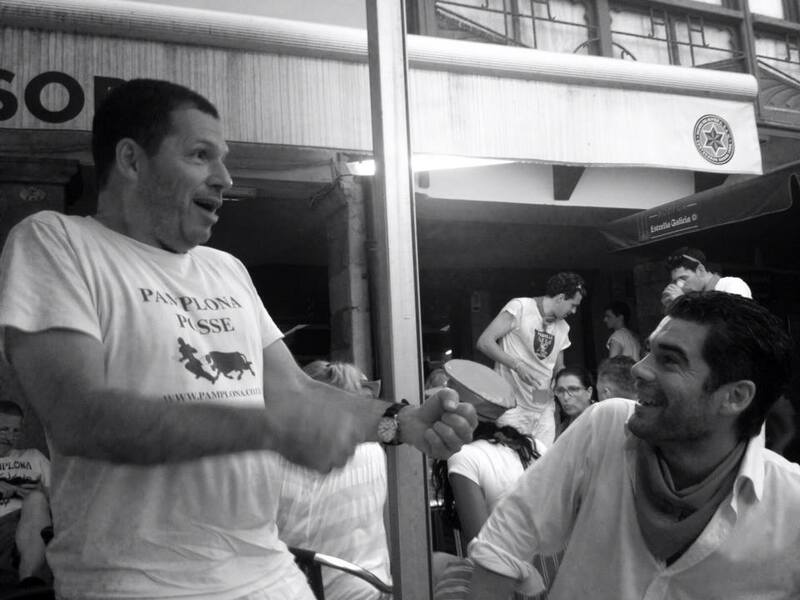 Their father was Francisco Rivera Peréz, ‘Paquirri’, killed by a bull in 1984, a death made all the more famous since it was televised, as were his final moments on the surgeon’s table, telling the panicking medical staff that it didn’t matter, to remain calm. 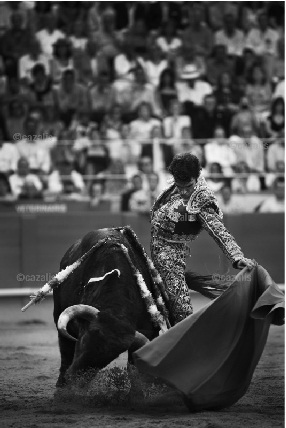 The effect of this death on his youngest son, my friend the matador Cayetano, I quoted in my previous post. I am sure his older brother Francisco felt similarly. How Cayetano feels today I dare not ask: Francisco, who had also taken his father’s nom de guerre Paquirri, was gored by a bull in Huesca in Aragon in north-eastern Spain, a horn entering his abdominal cavity to a depth of 25cm – or a foot – hitting everything from his spine to his aorta in its visceral trajectory. As an admirer who has always found him charm itself in person, I wish him a swift and complete recovery. In fact, let me rephrase that, as a human being of good conscience, I wish him a swift and complete recovery. 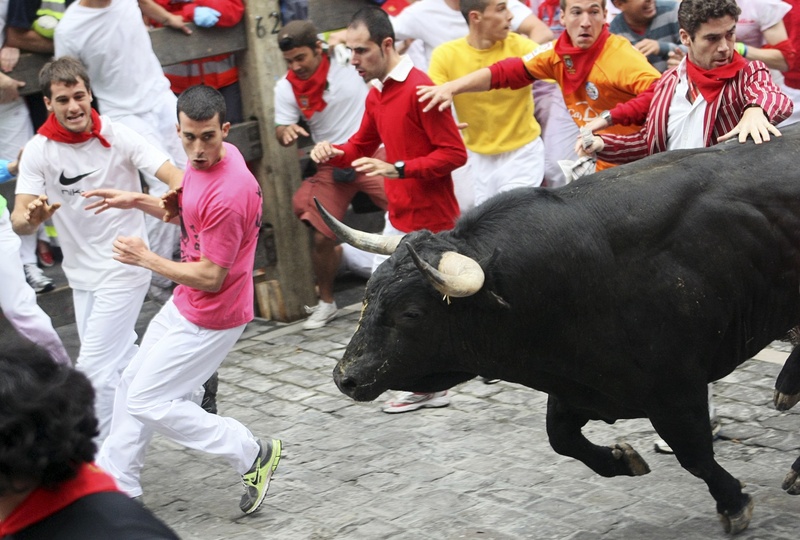 Even were I to think the method of killing cattle used in the bullrings of Spain morally inferior to that in our British or American slaughterhouses I would not wish my fellow man anything else. 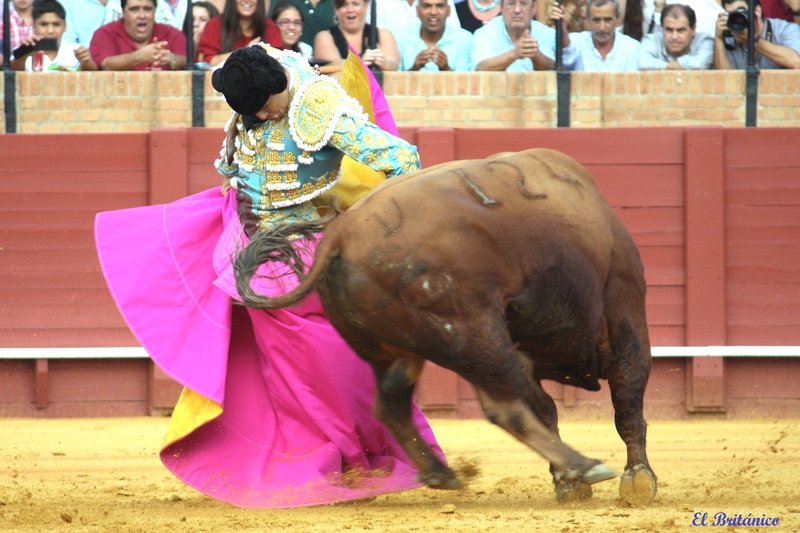 Yes, the bullfight – as we wrongly translated the word corrida – is a twenty-minute long staged ‘combat’ from the bull’s perspective (it is a dance from the man’s hence it is reviewed as such in the culture section) and some people might think this is worse than queuing for hours with the stench of death in the abattoir, even despite the average fighting bull dying at 5-years-old after living wild in forests while the average meat cow is reared in a corral or pen and died at 18 months, but that arguable ethical stance wouldn’t make me wish death on the practitioners of the art and craft of toreo. I eat cattle on the whim of their flavour, not from any need. This tells me everything about their actual moral status. N.B. All of the carcases end up in the food chain. 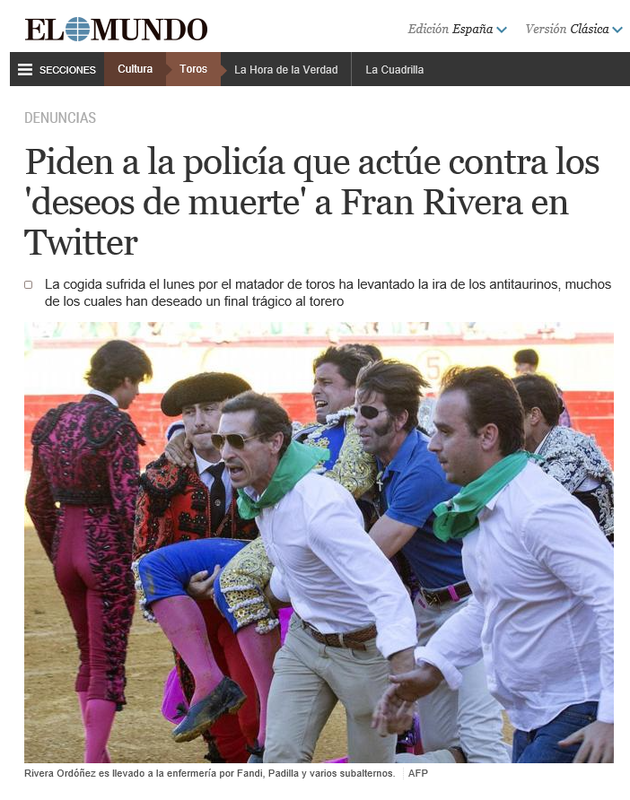 El Mundo, Spain’s equivalent of The Times. (My interview with Francisco’s brother Cayetano for the Sunday Times magazine is here. 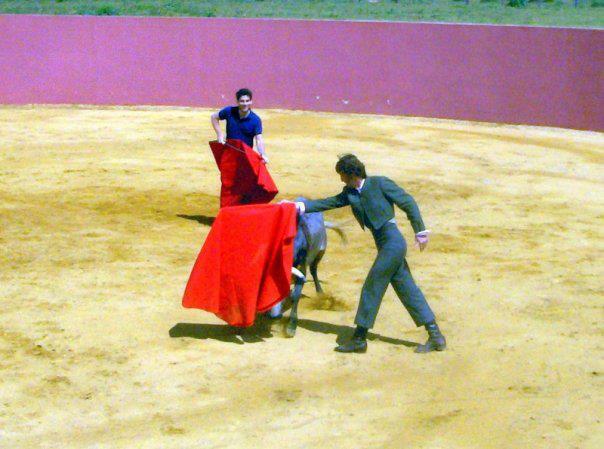 The man with an eyepatch carrying him is my friend the matador Juan José Padilla. 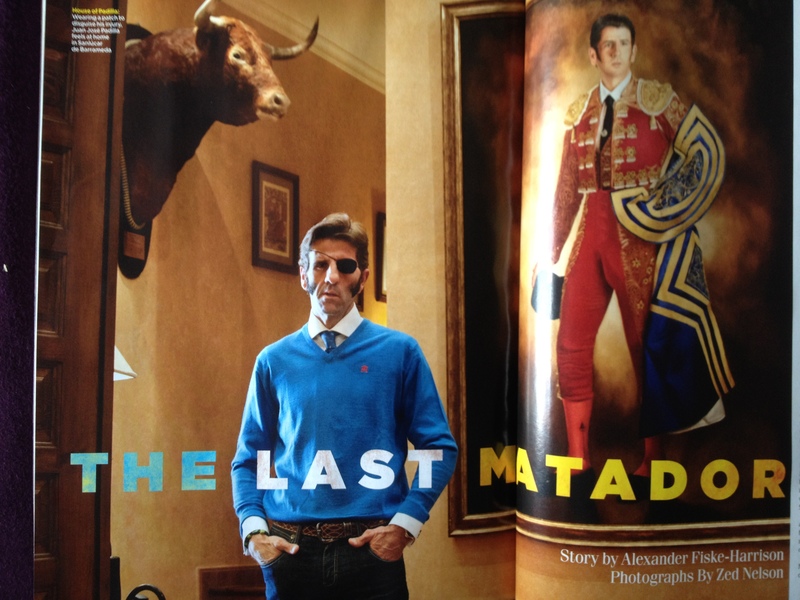 My account of his comeback after losing his eye to a bull is in GQ magazine here. Fiske-Harrison and Padilla training with a young fighting bull in 2009. By coincidence, Claire Danes, the beautiful actress on the cover of the issue on which the article appeared is a dear friend whom I thanked in the acknowledgments to the book that came out of those two years in Spain Into The Arena: The World Of The Spanish Bullfight in the first five chapters of which Padilla is so central. So I must thank her once again in the acknowledgments to this article, this time for providing such glamorous packaging. Please note, should you read the article, that, GQ holds the view, in common with many other publications, that when you pay a writer for his words, you have also bought the right to put words in his mouth. I, personally, could not write a phrase like “my dread boiled.” (What I actually wrote was “I was worried.”) My dread just doesn’t boil (anymore). 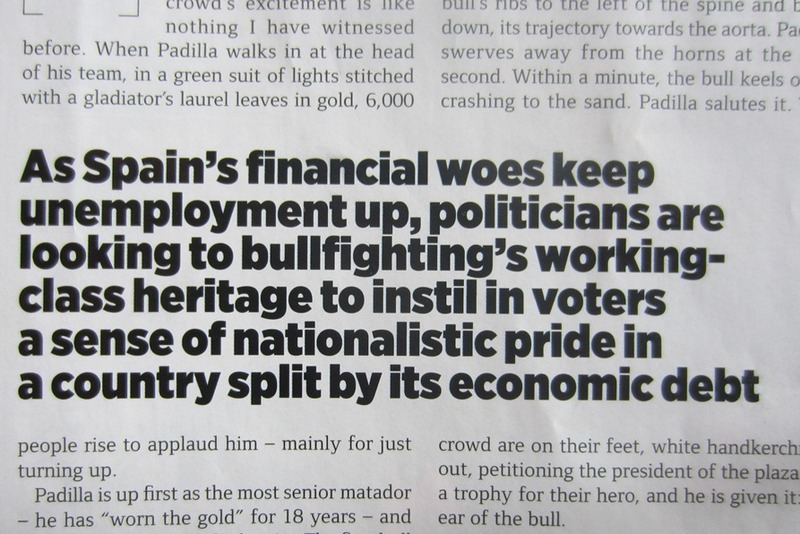 Nor could I have written that the Spanish financial bailout was £80m. I used to work for the Financial Times and know a million from a billion. Nor did I write the paragraph below, which appeared twice, once as a pull quote. I don’t even really agree with it. Anyway, much of the article is mine, and all of Padilla’s words are his own, which on their own would make it worth reading. However, if you come across something in the article that feels wrong, then it probably is, and probably didn’t come from me. If you live outside the UK or want it as a physcial book, other options are here. 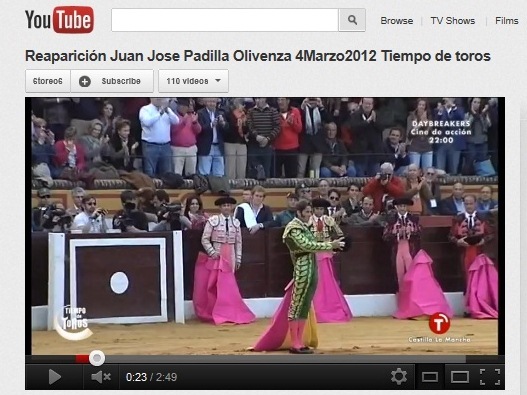 For those that missed it: The return of Juan José Padilla to the bullring in Olivenza.